Let this Autumn Glow Afghan warm you inside and out this season. The warm yarns used in this vintage crochet pattern will ward off the chill and the sweet vintage design will remind you of simpler days. Learn how to make this crochet motif pattern with this simple tutorial. Free vintage crochet patterns for fall add tons of character to your home and get everyone excited for the season. The Autumn Glow Afghan is just as pretty and warm as the glow of the fireplace. Want more autumn crochet patterns? 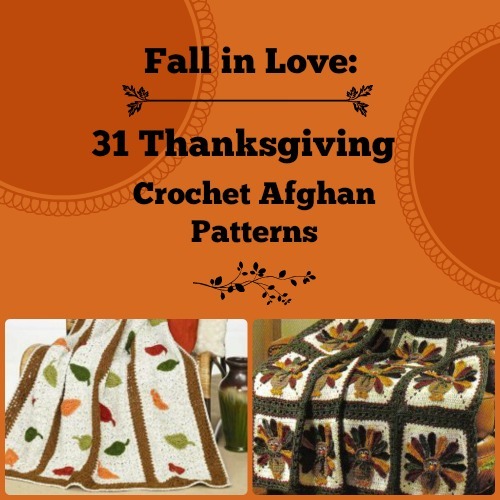 Check out Fall in Love: 31 Thanksgiving Crochet Afghan Patterns. Autumn Glow Afghan. I'm not used to seeing a gray color in autumn. I usually see orange, yellow, ochre, brown in autumn. So Autumn Glow afghan is a more appropriate name for a winter afghan, I guess.